Macedonia must have red lines.. The government and the opposition must build a common position and to stand behind him , Macedonia must have red lines. 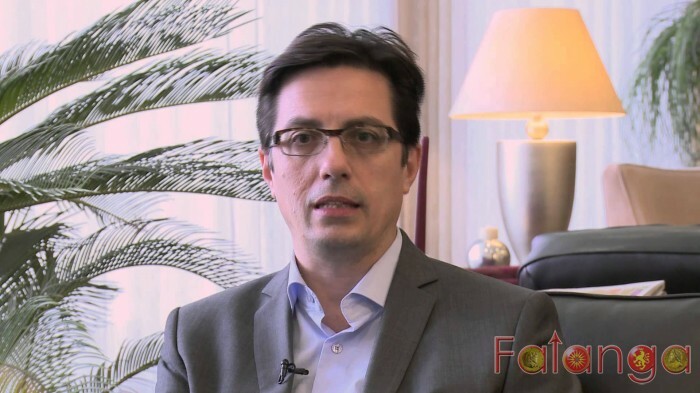 Compromise is possible only with the consensus of all relevant political parties , the principle of the framework agreement - recommends a candidate for president Stevo Pendarovski tonight on 24 News Analysis . He has no doubt that the future of Macedonia is on the west , but the price will have to be agreed jointly. Candidate for President of SDSM said that the country has political prisoners , and this power is shattered democracy . Pendarovski recommends that the requirement for DUI consensus candidate for president is actually a request for coalition candidate for president. According to him, the hassle between Gruevski and Ahmeti is just a kind of scenario . Pendarovski tells his target are not parties of the Albanian campus and will not bargain with them , or to arrange any transfer of votes . He says his target are the citizens . Mickoski to Kotzias: Macedonia’s national and state interests must not be jeopardized!